The Guilty Feminist podcast has become a comedy phenomenon with over 50 million downloads since it launched in late 2015. Comedian Deborah Frances-White and her guests explore the noble goals of 21st century feminists whilst confessing the insecurities, hypocrisies and paradoxes which undermine those goals. For this special touring version of the show, Deborah will be joined by some of your favourite comedians, guests and musicians from the podcast for a celebration of how far we’ve come, and a conversation about what remains to be done. 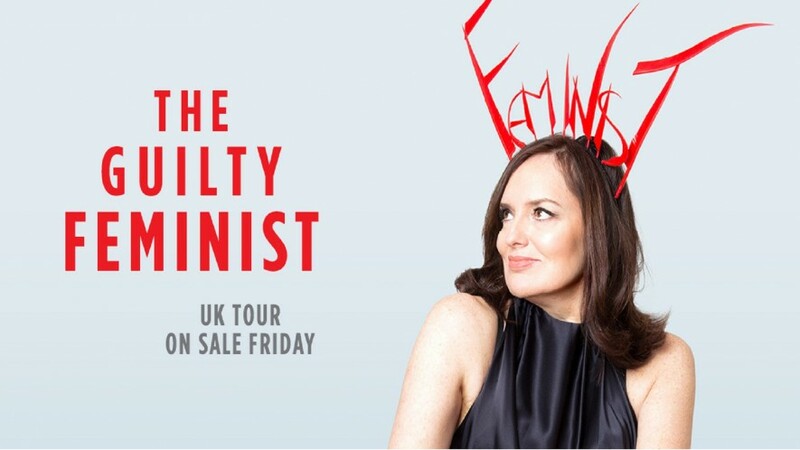 Expect laughs, excitement, tears and spectacle as only The Guilty Feminist can provide. Got some mega exciting news! We’re delighted to confirm the line-up for the Guilty Feminist Live show! Joining Deborah Frances-White (@DeborahFW) will be star of Comedy Central’s Roast Battle Rosie Jones (@josierones), Ireland’s favourite comedian Alison Spittle (@AlisonSpittle) and cutting edge transatlantic comic Kemah Bob (@kemahbob) with music from “the musical soul of Corbynmania” (Huffington Post) Grace Petrie (@gracepetrie).